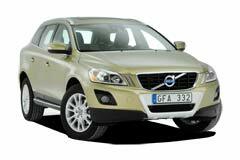 VOLVO XC60 - Car Reliability Index | Reliability Index | How reliable is your car? I have the Polestar conversion which whilst not greatly increasing power, does improve the gear change and delivery of power and in my view makes a considerable difference to the pleasure of driving the car. I have had Jaguars, Mercedes, Range Rovers and BMWs of all description. The Volvo car seat is without doubt the best I have sat in and has completely eliminated back strain from my driving. Third XC60 and none have required anything other than servicing. Never purchase new, all have cost around 5000 pounds a year in depreciation when traded. Selecting a make and model from the dropdown lists below. If you're a car owner yourself, why not write your own review, to let other buyers know what it's like to drive your car. Rate it or slate it by clicking on the button below.